CanEase (60 tablets)- Save-On Nutrition Centre Ltd.
CanEase is a good antioxidant which consists of botanical extracts from edible plants. CanEase neutralizes free radicals and slows down free radicals injury. 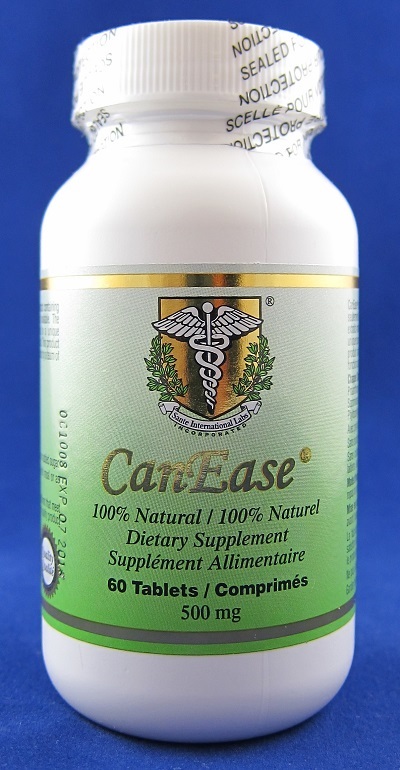 CanEase possesses synergistic combination of active ingredients which enhance immune function. CanEase is a natural heavy metal chelator.